Join us in Windsor this summer for our newest members-only event! Set in the beautiful grounds of Beaumont Estate, our intimate summer BBQ brings together our loyal AccessClub members for an evening of eating, drinking and dancing. Reunite with old friends, mingle with like-minded travellers and take in your idyllic surroundings over good food and a glass of sparkling wine. 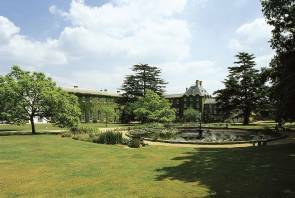 Surrounded by 44 acres of landscaped parkland, adorned with natural ponds, fountains and sculptures, our beautiful refurbished hotel comprises an 18th century mansion, chapel, numerous event spaces and a Georgian White House. Located 3 miles from Windsor, minutes from J13 of the M25 and 15 minutes from Heathrow, our hotel is also 3 miles away from Egham station. To book or find out more information please call our dedicated AccessClub telephone number on 020 8951 2903. Only 30 places available - book now to avoid disappointment!